THANKS for the memories, Gazey. 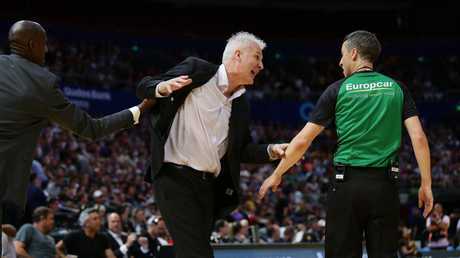 The Andrew Gaze coaching era is officially over after the Sydney Kings fell 90-76 to Melbourne United in game 2 on Sunday. The Kings were brave and much-improved but they proved no match for United as the defending champions flexed their muscles to sweep the series. 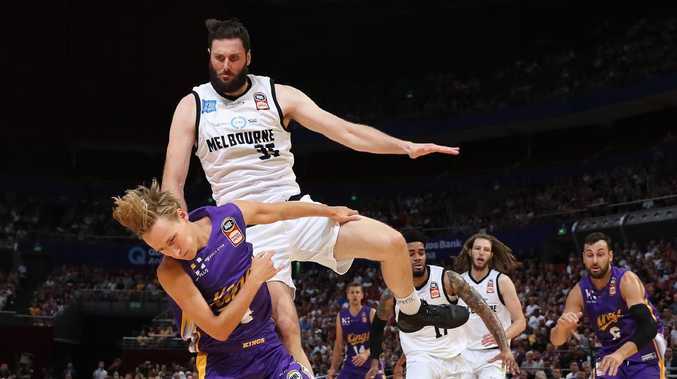 Sydney's season is over while Melbourne will play the Perth Wildcats in the 2019 grand final series starting on Friday, March 8. The Kings being swept in the semi-finals is a disappointing way to finish a season that promised so much. Andrew Bogut's historic signing placed significant pressure on a strong Sydney side to win a championship. 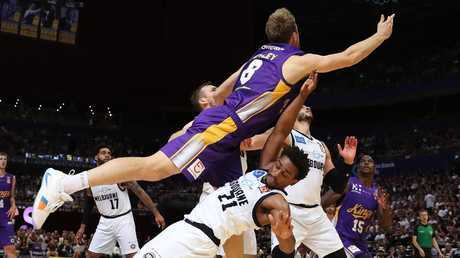 The Kings had their bright patches, including a stretch where they led the league, but in the end they were a class below top teams like Melbourne. Diminutive United guard Casper Ware was the chief destroyer with a game-high 30 points, 17 of those coming in the first quarter. Ware was devastatingly brilliant for Melbourne to emphatically outplay Kings opposite Jerome Randle, who was clearly struggling with his quad injury. 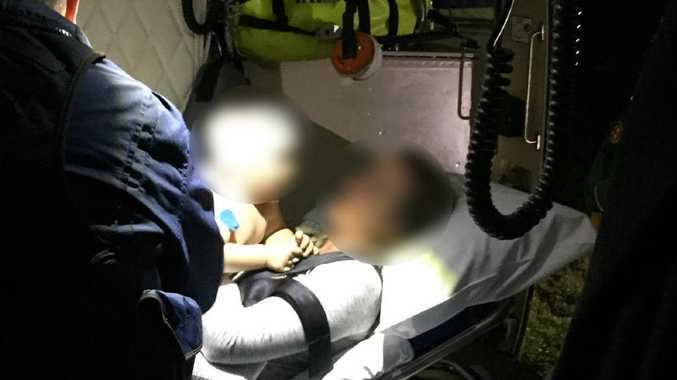 Randle left the court late in the second quarter to receive treatment on his quad but he bravely returned. In fairness, he probably shouldn't have played as he was visibly hampered by his injury throughout the match. 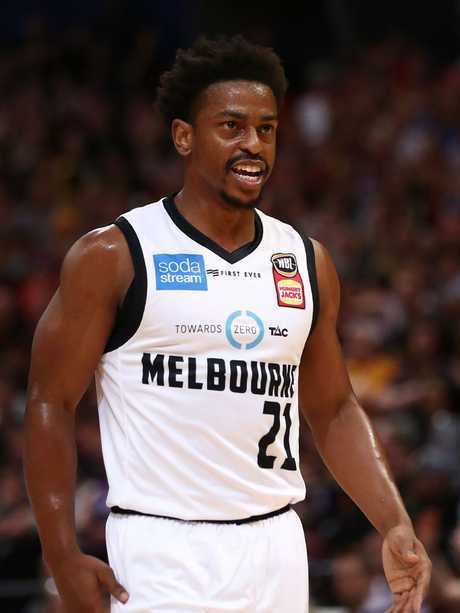 Melbourne capitalised on Randle's injury to surge to a comfortable win. The loss will take time for the Kings to forget but once perspective sinks in they can look back with pride. On the back of Bogut, big crowds returned to the Harbour City. This was show in Sunday's semi-final, with a record stand-alone crowd of 14,569 supporters in attendance. Dave Simmons - the father of Australian NBA star Ben Simmons - was also part of the monster crowd. 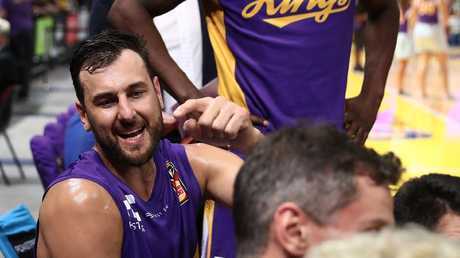 The Kings also played quality basketball to finish the regular season in third position and return to the post-season for the first time since 2012. But none of this will matter right now, as Sydney come to terms with being swept by their archrivals from Melbourne. The Kings focus will now shift to hiring a new coach to replace Gaze. Former Illawarra coach Rob Beveridge is favoured to be Sydney's new coach, although the franchise will interview a number of candidates. Gaze leaves Sydney after three seasons without a championship and question marks over his coaching but he helped put basketball back on the map in the Harbour City. The NBL legend will now return to Melbourne to spend time with his family and coach his son. This off-season looms as an important one for the Kings with 12 players' off-contract. On back of a boisterous home crowd, Sydney came out firing in the first quarter. David Wear knocked down a three on his first touch to have fans on their feet. The Kings looked like a different team compared to the one that struggled in Melbourne on Thursday night. Gaze's men rediscovered their energy while their ball movement and shooting accuracy returned in spades. Back-up guard Kyle Adnam led the way with six points to help the Kings go to quarter time with a 24-22 advantage. Adnam's contribution was significant given the bench battled so badly in Game 1. But just when Sydney looked comfortable, Melbourne responded. Led by Casper Ware, who had 17 first quarter points, the defending champions surged back to open up a six-point lead. The Kings could have easily folded but they found another gear to go to halftime trailing by only two points. Second unit big man Ray Turner produced eight first-half points, including a crucial three-point play. Melbourne extended their lead in the third quarter on the back of Chris Goulding, who exploded from beyond the arc. Goulding's hot hand helped United take a commanding 67-58 lead into the final quarter. The Kings kept fighting in the fourth but they couldn't stop Melbourne from charging into their second consecutive grand final series.